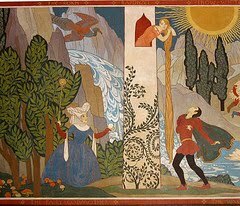 Graham Boettcher, Curator of American Art at the Birmingham Museum of Art, discusses the men and women behind Birmingham's murals. Wednesday, November 3, noon. Depression-era murals survive and thrive in both book and exhibit form thanks to the Birmingham Historical Society’s newest endeavor: identifying, assembling, presenting, and chronicling artworks which were created and appeared in the Birmingham area. “We just kept looking,” explains Marjorie White, BHS. “We found the murals still intact in some structures, never having been moved in all these years. We found collections tucked in attics, archives, and online. It has been a fascinating scavenger hunt to find this incredible art, created by artists between 1929 and 1939.” The exhibition Murals, Murals on the Wall 1929-1939 will be on view November 7 through December 31, 2010, at the Central Library in the 4th Floor Gallery. The book, Digging Out of the Great Depression: Federal Programs at Work In and Around Birmingham, is the ultimate picture book—144 pages with 250 seldom-seen images of our region’s programs in the arts, agriculture, beautification, archaeology, school and infrastructure improvement, health, reforestation, theater and more. Our ancestors can be seen at work improving our community and keeping morale and productivity alive during one of our nation’s most challenging times. Murals, Murals on the Wall 1929-1939: Our Story Through Art in Public Places contains magnificent Depression-era artwork in person, covering the walls of the Central Library’s 4th Floor Gallery. 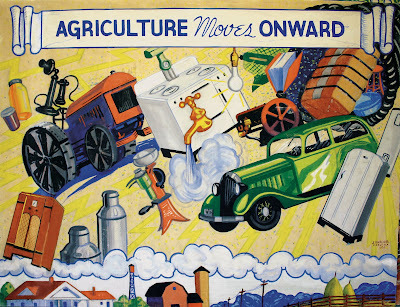 Visitors will see 10 murals, created for the 1939 Alabama State Fair to chart the history of Alabama agriculture. “They were lost and forgotten in an attic of the Alabama Cooperative Extension System (ACES), but are now rediscovered and being seen for the first time in many years,” says White. The murals are restored and will be loaned to Auburn University’s Jule Collins Smith Museum of Fine Art at the conclusion of the exhibit. Digital images of other original murals in Birmingham libraries, post offices, and courthouses will also be on display. An opening event is scheduled for Sunday, November 7 with a 2:00 p.m. lecture on Birmingham’s New Deal Murals led by Gaines Smith, Director of the Alabama Cooperative Extension System, and Marjorie White, Director of the Birmingham Historical Society. A reception follows from 3:00-5:00 p.m. Books will be available for purchase at the reception in the Library Gallery. Associated Activities at the Library: Brown Bag Lunch Talks: Artists on Relief, with Graham Boettcher, Curator of American Art, Birmingham Museum of Art, November 3, Noon; The Discovery and Conservation of Birmingham Murals, John Bertalan, Conservator and Bruce Dupree, Historian, Alabama Cooperative Extension System, November 10, Noon. Both events take place in the Arrington Auditorium, Central Library, 2100 Park Place. To buy books: by mail, Birmingham Historical Society, One Sloss Quarters, Birmingham, Al 35223, $35 postpaid; at the Central Library front desk; and at the November 7 opening event. For additional information, please contact the library at (205) 226-3746. The Election is Coming: Are you Ready? It is only a week away until the elections! 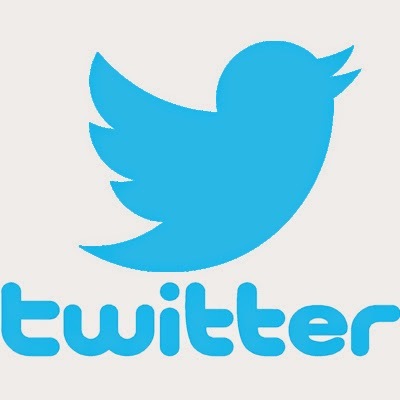 Take this time to research the candidiates, formulate your opinion, and decide on your choice. 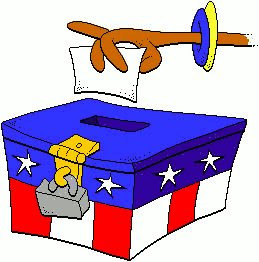 The Birmingham Public Library has the 2010 Alabama Elections subject guide to help you in your research. Still need more help locating resources? Contact the Social Sciences Department at 205-226-3640 or stop by today. The 10th annual City of Birmingham Recycles Day will be held Wednesday, October 27 to give all citizens of metro Birmingham the opportunity to recycle their electronic waste and yellow pages. To make it even more convenient to participate, a drive-thru service will be offered. Please come out and support this event. It's FREE! TIME: 6:00 a.m. - 2:00 p.m.
Environmental groups will also be on site to educate the public about environmental impacts and recycling. We're getting closer! Thanks to our generous patrons we have raised $16,443.21 toward our goal of $20,000. This money will be used to purchase the latest books, audio books, DVDs, and e-books. Help us spread the word so we can get the red line on the thermometer all the way to the top. Bullying: What to Do About This Issue? The Birmingham Public Library also has resources to help educate people and raise awareness on bullying. Check out our new subject guide on Bullying! Many of the resources are located in the Social Sciences Department. Stop by today or call 205-226-3640. 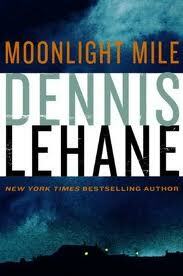 I can't tell you how stoked I am about Dennis Lehane's new book, Moonlight Mile. Not only is it the first Kenzie/Gennaro book in 12 loooong years, but it's a continuation of Gone, Baby, Gone, one of the best books of the series. All these years I've wondered what became of little neglected Amanda McCready, and that's after she was returned to her mother. Gone, Baby, Gone is about a 4-year-old girl who disappears from a working-class Boston neighborhood. Here it is 12 years later, and Amanda again disappears without a trace. The same concerned aunt who hired Patrick and Angie to find her niece the first time is knocking on their door again. The moral debate on whether Patrick did the right thing for Amanda in Gone, Baby, Gone rages on; it will be interesting to see how he's lived with his decision in the years since he and Angie married and had a daughter of their own. Gone, Baby, Gone was made into a movie in 2007 and stars Casey Affleck as Patrick Kenzie and Ed Harris as a hardened cop with a soft spot for neglected kids. The Birmingham Public Library is hosting Sonya Sanchez on November 6, 2010, for a discussion on two new books of her work: Morning Haiku and I’m Black When I’m Singing, I’m Blue When I Ain’t and Other Plays. 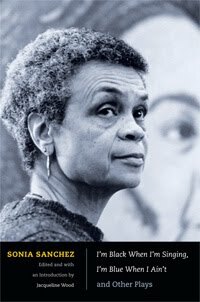 Morning Haiku, her first publication in over a decade, is a collection of haiku that celebrates the gifts of life and mourns the deaths of revered African American figures in the worlds of music, literature, art, and activism. I’m Black When I’m Singing, I’m Blue When I Ain’t and Other Plays brings together Sanchez’s collection of plays, five previously published and two unpublished until now. Dr. Jacqueline Wood, Associate Professor of English at UAB, is the editor of the book and will join in on the discussion. Join us as Stan Long, Principal Chief of The Cherokee Tribe of Northeast Alabama, discusses the history of the Cherokee tribe in Alabama. 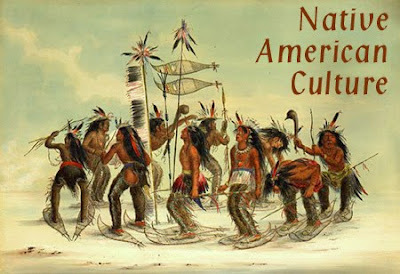 The Cherokee Tribe of Northeast Alabama is one of nine tribes recognized by the State of Alabama with representation on the Alabama Indian Affairs Commission. Alabama is rich in Cherokee history, including some of the first written Cherokee laws being enacted in Alabama. Several of the earliest Cherokee delegations to Washington D.C. included Alabama Cherokees. Chief Long is a licensed certified Social Worker currently working with the Huntsville City Schools as a Behavior Intervention Specialist. Wednesday, October 27, noon. Birmingham Public Library Board President Gwendolyn B. Guster Welch (second from the right) and staff Tonya Clarke (right) pose with patrons during the Patron Appreciation Day at Springville Road Branch Library on Wednesday, October 20, 2010. The BPL Board of Trustees, Friends of the Library, and staff extended their apprection to folks for their support and patronage of the Birmingham Public Library. Cake, coffee, and lemonade were served. 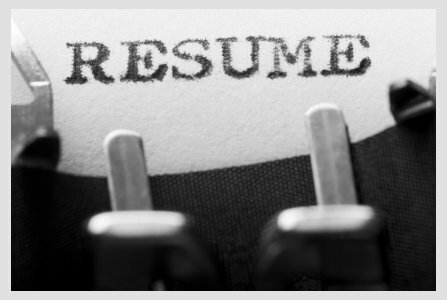 For more resources on job searching and resumes, visit BPL's job searching resources page. Got overdue library materials? 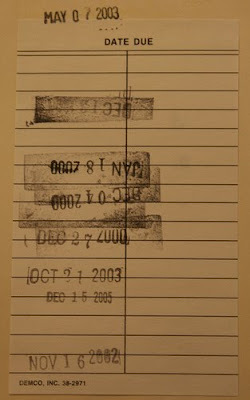 If so, take them to any Birmingham Public Library from October 17-31 and your fines will be waived. No questions asked. Only fines on current returns will be waived; outstanding fines are excluded. For more information on the amnesty programs visit Birmingham's official Web site. Need a Scholarship to Pay for Colllege? $41 Billion Dollars Awaits You! Tuition Funding Sources (TFS) is the newest database acquired by the Jefferson County Library Cooperative. This database hosts scholarship searches with a total estimated value of of $41 billion dollars with approximately 5,000 scholarships being added every month to the database. Besides offering scholarship searches, TFS offers college admission information, career personality tests, and detailed career guidance. With financial sponsorship from Pepsi, TFS ensures users' information will not be sold and prohibits advertising (even for a Pepsi product) on their website. 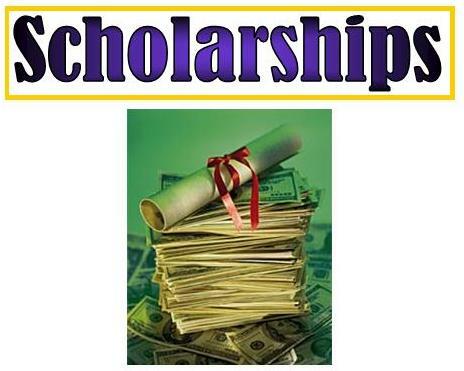 Thus, it has become a safe website for scholarship searches since it began in 1987. Want more information on college financial aid and scholarships? Check out our Student Financial Aid subject guide, call the Social Sciences Department at 226-3640, or fill out our Ask A Librarian form for assistance. We also have College and Financial Aid brochures available in the Social Sciences Department at the central branch of The Birmingham Public Library. Patron Appreciation Day This Wednesday! 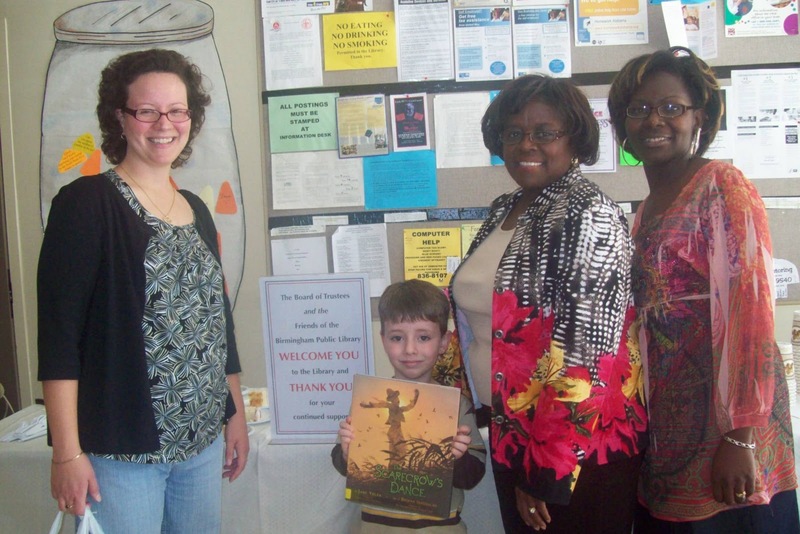 The Birmingham Public Library Board and Friends of the Birmingham Public Library are co-sponsoring Patron Appreciation Day on Wednesday, October 20. All Birmingham Public Libraries will be serving cake from 11:00 a.m.-2:00 p.m.
Watts Building, 3rd Ave. N., 1888. An advertising photo or citizens paying their respects at Birmingham madame Louise Wooster's funeral? Just one of the many mysteries of old Birmingham. Just as the afternoon sun slips out of the downtown sky, like a platinum blond sliding into a black party dress, the night owls will gather at the library. Get ready for Halloween by putting on your walking shoes and joining Birmingham Public Library Archivist Jim Baggett for the 4th annual Birmingham Noir tour of some of the Magic City's infamous historic sites. 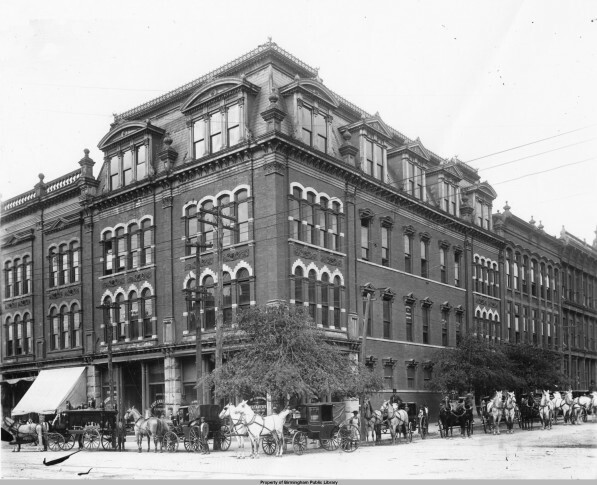 Visit the location of Birmingham's most famous brothel, spectacular 19th century murders, political intrigues, and the scandal that nearly destroyed Bull Connor's career. Admission is free but reservations are required. Each tour is limited to 25 people and spaces always fill quickly. These 90 minute tours begin and end in the atrium of the downtown Birmingham Public Library. Free parking is available in the library lot on the corner of 22nd Street and Park Place. To make reservations contact Jim Baggett, Head of Archives and Manuscripts, at 205-226-3631 (voice), 205-226-3633 (fax), or jbaggett@bham.lib.al.us. The National Book Foundation announced the nominees for the 2010 National Book Awards. The winners will be announced on November 17. How many have you read? *For books not owned by libraries in the Jefferson County Library Cooperative, try borrowing them through Interlibrary Loan. Brown Bag Lunch—Lead Poisioning: Know the Facts! Lead still exists and affects over 300,000 children in the United States. 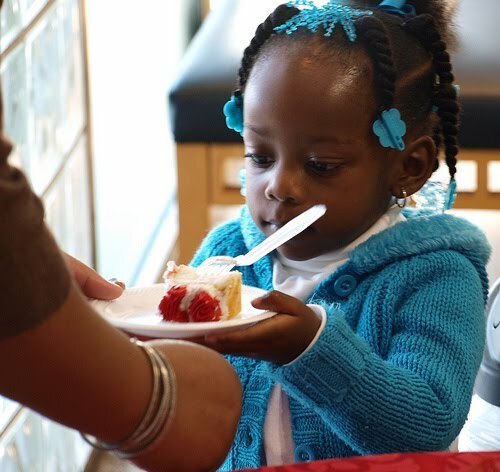 Jefferson County has the highest numbers of patients affected by lead poisoning in Alabama. Join Lonnie Pressley, Jefferson County Department of Health, for a look at lead in our environment. She will discuss what lead poisoning is, how it affects children, the symptoms of lead poisonings, and how to protect children from coming in contact with it. Wednesday, October 20, noon. Here is a small sample of BPL’s October Bards and Brews poetry slam. Held on the first Friday of each month (except December), slams are emceed by poetry slam events director Brian “Voice Porter” Hawkins. Southern Fried Slam rules are observed at Bards and Brews. Check out the Bards & Brews page on Facebook for more information. The Birmingham Public Library hosts its second poetry slam on November 5 at the Central Library. See you there at 6:30 p.m. Since David Sedaris is #25 on the Stuff White People Like list, and I am white and like David Sedaris, I feel it's my duty to promote his new book, Squirrel Seeks Chipmunk: A Modest Bestiary. 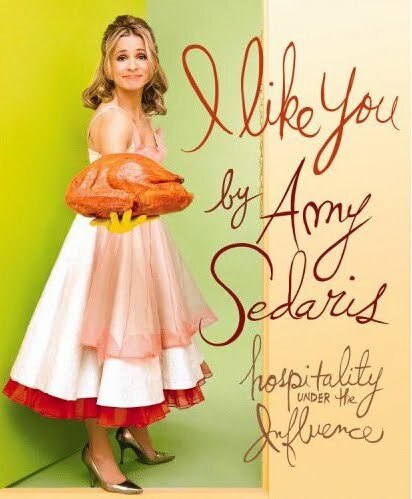 Surely the Stuff White People Like list is not set in stone, so whoever you are, you might get a kick out of Sedaris' understated humor. His most popular works are Dress Your Family in Corduroy and Denim, Me Talk Pretty One Day, and Holidays on Ice. Oh, and since the holidays are coming up, don't forget about David's sister, Amy. 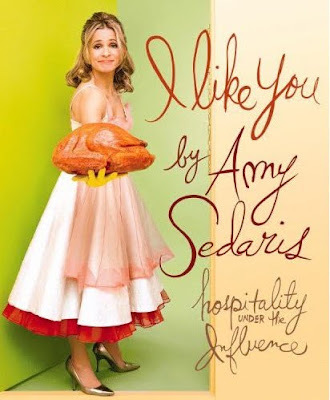 She can teach you a lot about entertaining in I Like You: Hospitality Under the In fluence. Yes, it's a funny book, but there are some useful tips and yummy recipes. If you like googly eyes and pipe cleaners, her craft ideas will be right up your alley. 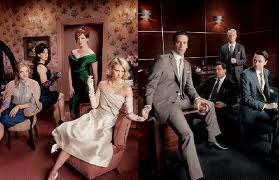 Billy Parrot, a librarian at the Battery Park branch of the New York Public Library and an obvious fan of TV's Mad Men, created a list of books featured or casually mentioned in this series set in 1960s New York. The books offer an insight into the characters and add an authentic touch to the show's gray-flannel-and-scotch theme. 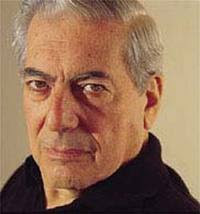 Writer and political activist Mario Vargas Llosa was awarded the Nobel Prize in Literature Thursday for "his cartography of structures of power and his trenchant images of the individual's resistance, revolt, and defeat." He is the first South American writer to win the $1.5 million prize since Gabriel Garcia Marquez won in 1982. Llosa had been mentioned as a Nobel candidate for years, and his body of work has won many prestigious literary medals and been translated into 31 languages. The once left-leaning political activist has since veered right and embraced free-market capitalism, once running for president in his homeland. He is an outspoken critic of Hugo Chavez and Fidel Castro. Llosa's first book was The Time of the Hero (1963), about his experiences at Leoncio Prado, a Peruvian military academy. The book won the Spanish Critics Award, but thousands of copies were burned by military authorities who claimed the book was a bunch of lies written by a communist. Llosa, who became a Spanish citizen in 1993, has homes in Madrid, London, and Manhattan. The University of Washington released findings of a study earlier this year stating that one-third of the American population have used public libraries to access the Internet during the past year, according to a Washington Post article. The study, funded by the Bill and Melinda Gates Foundation, revealed that the majority of the 77 million people who visit public libraries to go online were low-income individuals searching for jobs, trying to obtain a degree, or trying to better their current economical situation. Additionally, those surveyed said they used the Internet in public libraries to find work, apply for college, get public benefits and look up medical information. Teens were among the top users, saying they went online to acquire help for homework. “Library technology services have created opportunity for millions of Americans,” said Allan Golston, president of the United States Program at the Bill and Melinda Gates Foundation. “This study highlights what is at risk, particularly for low-income individuals who heavily rely on the public library for their technology, if future public and private investment in public libraries doesn’t keep pace with demand." 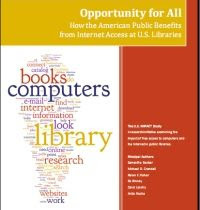 Interestingly, the majority of library computer users surveyed admitted to having Internet connection at home, but they preferred going to the library because they could also ask librarians for additional help. 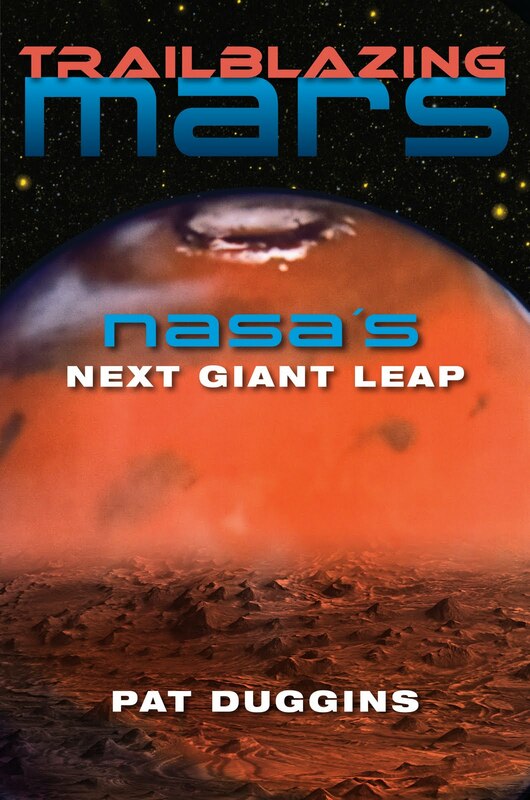 Manned spaceflight to Mars has long been a staple of science fiction, but the hurdles – both technological and financial – have kept exploration of the red planet earthbound. Award-winning journalist Pat Duggins examines the extreme new challenges facing those making this perilous journey in his new book, Trailblazing Mars: NASA’s Next Giant Leap, presented as part of Birmingham Public Library’s Alabama Bound Presents series. Pat Duggins is news director at Alabama Public Radio and author of Final Countdown: NASA and the End of the Space Shuttle Program. He has covered more than 100 space shuttle missions of NPR, starting with the 1986 Challenger accident and including three hours of live coverage following the 2003 loss of Columbia. Poets, aspiring poets, and poetry clubs in grades 9-12, and teachers are invited to participate in free spoken word poetry workshops at the Birmingham Public Central Library (BPL) on November 6, December 4, and January 8, 2:00-4:00 p.m. If this is your first foray into spoken word poetry, or you’d like to take your skills to the next level, sign up. Each workshop will differ in focus. Planning to participate in the next BPL Word Up! contest? Now is the time to hone your skills. Space is limited. Call 226-3670 or email hm@bham.lib.al.us to reserve your spot. The Desert Island Supply Company (DISCO), a nonprofit writing program based in Birmingham, and Real Life Poets, a nonprofit organization whose goal is to mentor young adults, encourage good communication and oratorical skills using spoken word poetry, will conduct these free workshops. The workshops will be held on the following Saturdays from 2:00 p.m. to 4:00 p.m. at the Central Library. Our patrons are amazing! You have donated $14,887.21 toward our goal of $20,000. This money will be used to purchase the latest books, audio books, DVDs, and e-books. Help us spread the word so that we can get the red line on the thermometer all the way to the top. At 65, Steve Martin's "Late for School"
"I am very excited to begin my banjo tour with the Steep Canyon Rangers," commented Martin. "It has been a long time dream of mine to travel around the country with a bunch of guys." In June 2009 Steve Martin released the album The Crow: New Songs for the Five-String Banjo* to glowing reviews. Forty-five years in the making, The Crow won a Grammy for Best Bluegrass Album and was Billboard's #1 Bluegrass Album for 2009. The Crow isn't just a bunch of novelty tunes like "King Tut"—it's an album of songs written and arranged by Martin, with Martin playing some serious banjo assisted by music biz legends Dolly Parton, Vince Gill, Earl Scruggs, Mary Black, and Bela Fleck. 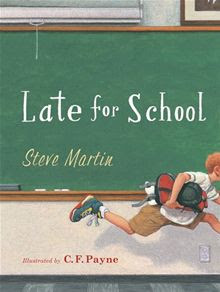 One song—"Late for School"—does have a touch of that old Martin novelty to it, and it's been turned into a children's picture book with an accompanying CD. Martin is currently on his 2010 Banjo Tour with the Steep Canyon Rangers. Martin wrote Shopgirl in 2000, a story I listened to Martin read on CD. He was brilliant at this job because he knew every nuance of his characters. His new novel, An Object of Beauty, will be released on November 23. It's about a Sotheby's intern who climbs the cultural ladder with her charm, ambition, and a few illegal maneuvers. *Unfortunately, Homewood's copy is overdue but Vestavia's copy should be available when they reopen in November. The Birmingham Public Library (BPL) will host vocalist J. D. Jackson and his accompanist, Sam Robinson, on November 4 at 6:30 p.m. in the Arrington Auditorium at the Central Library. Mr. Jackson describes his music as “360° of Music.” He offers a multi-genre and multi-lingual musical experience that demonstrates the unifying and universal power of music. On November 23 at 6:30 p.m. at the Powderly Branch Library, guitarist Keith “Cashmere” Williams will perform his well-known guitar sounds. Mr. Williams performed with Ruben Studdard between 2003 and 2006 and has opened for various artists, including Kirk Whalum, Ramsey Lewis, and Boney James. His latest album, New Birth, has just been released. 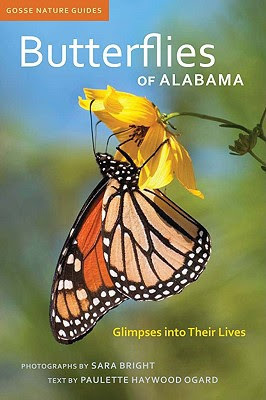 Butterflies of Alabama is a full-color, richly illustrated guide to the eight-four known species of “true” butterflies (Papilionoidea) found within the state’s borders. For more than fourteen years authors Sara Bright and Paulette Haywood Ogard have made a close study of these showy, winged stars of the insect world, pursuing them in a great variety of habitats, rearing them, and photographing their remarkable life cycle stages—egg, larva (caterpillar), pupa (chrysalid or “cocoon”), and adult. Sara Bright is a professional photographer whose work has been featured in Canoe, Southern Living, Birder’s World, Outdoor Life, Geo, and Portico, and is on permanent display at McDonald’s Corporation, Alabama Power, Wachovia Bank, and the Birmingham Botanical Gardens. Paulette Haywood Ogard has taught classes on wildflowers and native plants at the University of Alabama at Birmingham and conducted workshops throughout the southeast on wildlife habitats, butterflies, and butterfly gardening. Join us as the authors take a fascinating look at the natural world that is in our own backyards! Wednesday, October 13, noon. Want eBooks? We are now lending eBooks in addition to physical ones. Click here to begin downloading an eBook right now! Want to know more about eBooks? The Digital Bookmobile National Tour will demonstrate our free eBook and audiobook download services at the Birmingham Public Library - Central on Wednesday, October 20th from 10 a.m. - 4 p.m. A gadget gallery featuring iPod®, Zune®, Barnes & Noble Nook™, and Sony® Reader™ will help visitors discover and experience portable devices that are compatible with all the library’s download service. The Birmingham Public Library hosts its second poetry slam on November 5 at the Central Library. BPL’s October slam showcased both veteran slammers and first-timers—and a great time was had by all. Held on the first Friday of each month (except December), slams are emceed by poetry slam events director Brian “Voice Porter” Hawkins. Each contestant contributes $5 to the pot, and winner takes all. Southern Fried Slam rules will be observed. Supreme Beverage Company will donate beer for sampling. 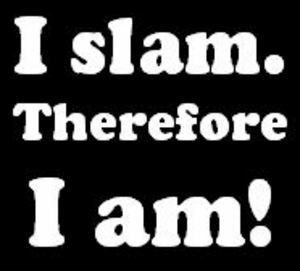 Slam participants must be 18 years or older. IDs will be checked. Live music at 6:30 p.m. Call time is 7:00 p.m. Check out the Bards & Brews page on Facebook for more information. Word up, y’all!